Arsenal are moving in for Lorient centre-half Laurent Koscielny (24). Arsenal has already made an £8million bid for the player but the French club are holding out for more. Koscielny, spoke out last week asking for Lorient to let him go, and Wenger insisted the Gunners are still in the hunt to sign him. Wenger wants Koscielny to partner Thomas Vermaelen at the heart of the Arsenal defence for next season, and its would seem that a deal is only days away. So what do we know about Laurent Koscielny? Koscielny began his career at En Avant de Guingamp where he played primarily as a Right full-back. After joining Tours FC in 2007 we was converted into a central defender, and in the 2008–09 season he scored 5 goals in 34 games. In May 2009, the UNFP named Koscielny in Ligue 2’s best XI for 2008–09. On 16 June 2009, FC Lorient signed Koscielny on a four-year contract for around 1.5 million euros. Koscielny is also eligible to play for France & Poland due to his Polish roots.Koscielny has decided to apply for Polish citizenship but as yet, has not made a decision on which country he will represent. 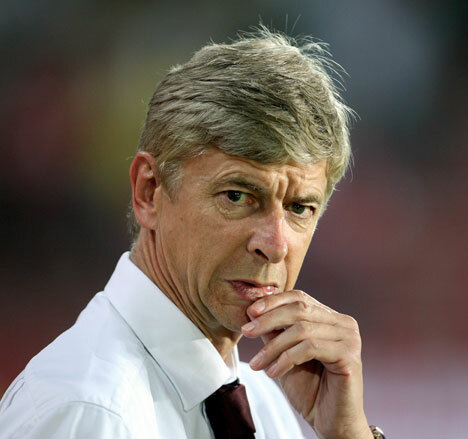 ← Previous Story Tactically Domenech & Wenger Are The SAME! Next Story → [Video Classic] 2-0 down, 3-2 winners. A Great Arsenal Comeback! In addition we have to have one more world class defender. Find a younger verson of sol campbell…that’s be great.